After having failed to create a market for tablets in the early 2000s, Microsoft launched a new hardware effort in 2012 to disastrous results. The company was forced to write-down $900 million in inventory and Surface’s future was in jeopardy. 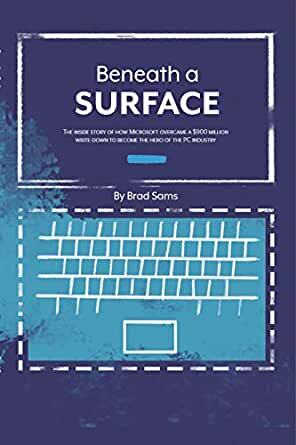 For fans of Microsoft and those who are interested in the business of building brands, Beneath A Surface is a must read that tells the story of how Microsoft turned a failure into a fortune. Well written and gives a deep insight into the making and success of the Microsoft surface brand. I highly recommend this book. 5.0 out of 5 starsGreat insight into the past and the future. Tore through this quickly after it arrived on my Kindle. It was a decent length but a very pleasant read. It's easy to go through a book you enjoy quickly. As with all of Sams' work, the book is engaging and easy to follow. He does an excellent job of using terms most in tech would be familiar with while also defining them plainly so the book can be easily accessed by those who are not techies. He begins by framing the development of the tablet market, MS' issues in keeping up with the likes of Apple and Google, etc. Then we get insight into the develop of the Surface from table sized multi-touch interface to what the future may bring based on inside sources. I appreciate how Sams does not fill pages with unnecessary information. There's no bloat to be found in this book. He details the history and has a good sense for what is important and what is not. This book is highly recommended for any who want insight into MS and insight into development of products in tech. I could see investors in MS taking an interest as it gives a glimpse into the function of the company as well. It is worth the price of admission and then some. 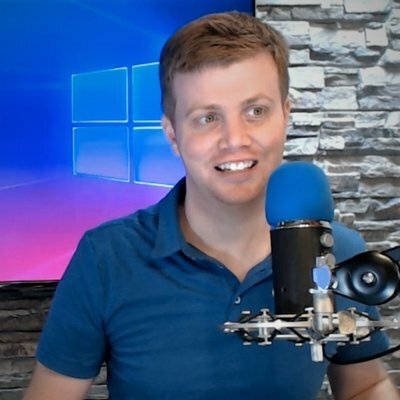 I hope Brad writes more on MS or tech in general. It's wonderful to read someone who is tech savvy yet able to communicate with normal people (I'm not one, I'm tech savvy as well - but I do not enjoy technical writing at all). This accessibility permeates his work in blogs, videos, and books. Again, much appreciated. I read until all hours, then slept a bit and picked it up again and finished it off. Brad does a good job of laying out a clash of passion and vision in the recesses of Microsoft and how it almost derailed the brand and could have affected Windows. In this case, the dreamers "won". But as I wrote to Brad directly on his Thurrott site, in this clash twixt marketers and engineers, I can't figure out who is the chicken and who is the egg in forming the Surface brand and developing its premium products. Ah, well, what I can say is he did a great job with no tech confusion or insider mumbo-jumbo. An easy read, but it does make you think about what if. The story of Microsoft’s Surface the company’s first foray into becoming a PC-maker is an interesting one and Sams does a wonderful job of telling it. One of the things I appreciate the most about this book is the clear and concise way he recounts the events. The author focuses on what is important and leaves out all the fluff that typically weighs books like this down. No psychoanalysis, no rambling illiteration eating up pages, just a good story about how a technology company brought something interesting to life. It is well worth your time and money. If you want an accurate take on the rise of the surface or are interested in product development/marketing then please help Brad pay for the porche he doesn't have (yet). Siri says buy it. 5.0 out of 5 starsA great read by a new author! Brad Sams takes the history of Surface and interweaves it into the fabric of Microsoft over the past decade (and longer) to show how the company created the excellent device family that we have today. His access to the people at Microsoft, combined with his collaboration with reporting titans Paul Thurrott and Mary Jo Foley, virtually guarantee that this book contains valuable insights and the in-depth background that substantiates the thinking behind those insights. For me - the surprise insight was not necessarily the evolution of Surface, but the hand Steve Ballmer had in making it happen. Ballmer's various missteps are a cautionary tale in their own right - it's really nice to see reporting on the things he got right as I don't think he gets nearly enough credit. Worth every penny, this book is!